To answer this question accurately "what is barrier reef" we would have to say that barrier reef is coral reef or a series of coral reefs running parallel to the coast but separated from it by a deep channel of water. The Great Barrier Reef performs this function on a massive scale. For a distance of 2,300 kilometres on the Queensland coast and a futher 300 kilometres across Torres Strait the Great Barrier Reef provides protection for the Queensland coast from ocean swells coming from the Pacific Ocean. The Great Barrier Reef is the world's biggest single structure made by living organisms and can be seen from outer space. The reef structure is composed of and built by billions of tiny organisms, known as coral polyps. It supports an incredible diversity of life and was declared a World Heritage Site in 1981. It is one of the seven natural wonders of the world. The Great Barrier Reef is visited by millions of international tourists each year. 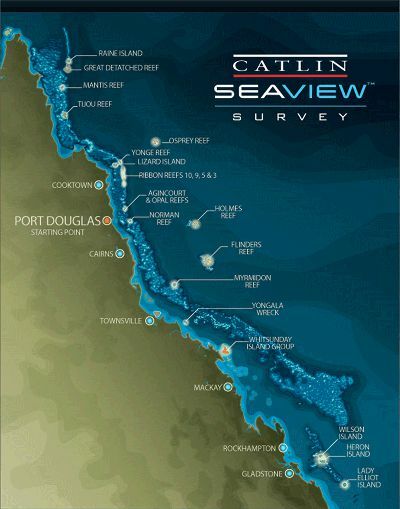 Most people who want to see the reef depart on specialised vessel from Cairns to large viewing facilities located at strategic areas on among the hundreds of reefs that are accessibel from Cairns. This is by far the best way to get a close up view of amazing corals, sea turtles, rays, sharks and tropical fish of every colour and size. Much of the diving and snorkelling on the reef is done from boats, however, there are also excellent reefs surrounding some of the resort islands. For certified divers or those who are unqualified but yearn to experience scuba diving, a live-aboard boat is the best option. Here you will have the option to dive up to 4 times a day, including night dives, and visit more remote parts of the Great Barrier Reef. Trip lengths vary from 2 to 7 nights, though 3 and 4 day trips are the most popular. 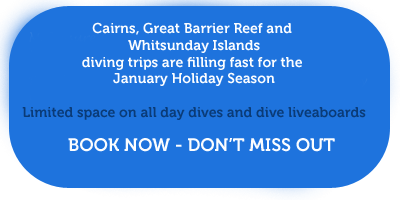 Prices for a 3-day/2-night trip start at around $670 for a Cairns Liveaboard Dive Trip, and Airlie Beach Great Barrier Reef Dive Trips. For a unique and spectacular view over the reef, take a helicopter or seaplane tour. Flights are available from Airlie Beach, with excursions taking in the spectacular Whitsunday Islands, and Cairns, with flights over rainforest-covered Green Island. A 30-minute scenic flight costs around $270. Flights are included in the Coral Sea Diving Liveaboard cruise on board Spirit of Freedom.